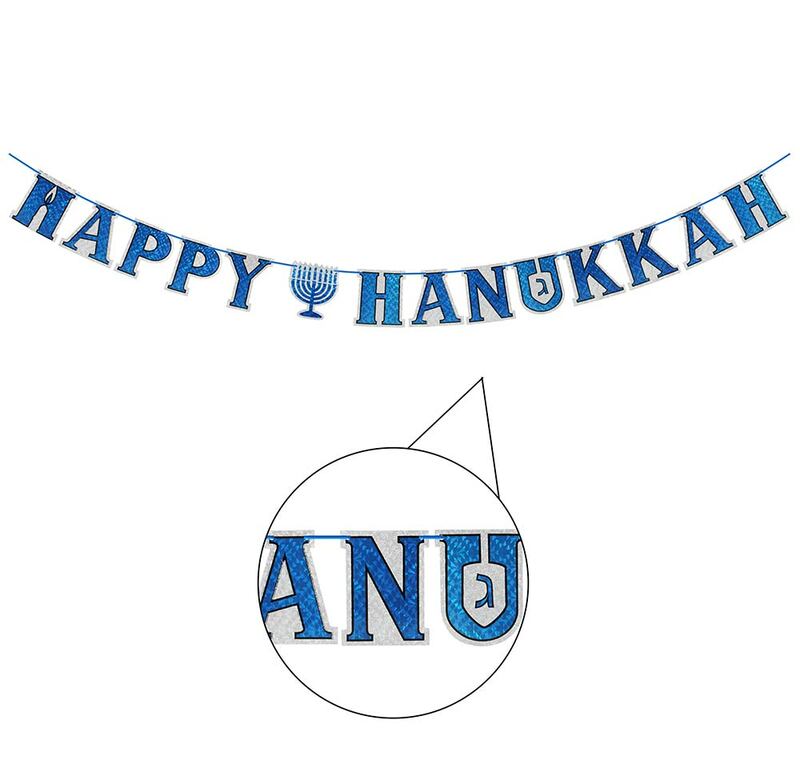 Happy Hanukkah Holographic Letter Garland. 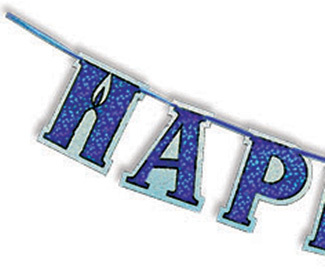 Holographic letter cards with clean glittered edges on a blue ribbon. Hang against the wall or across a room. Attach more for a larger display.